Strawberry Lemonade just screams "SUMMER" to me! These cupcakes are a light and refreshing treat. 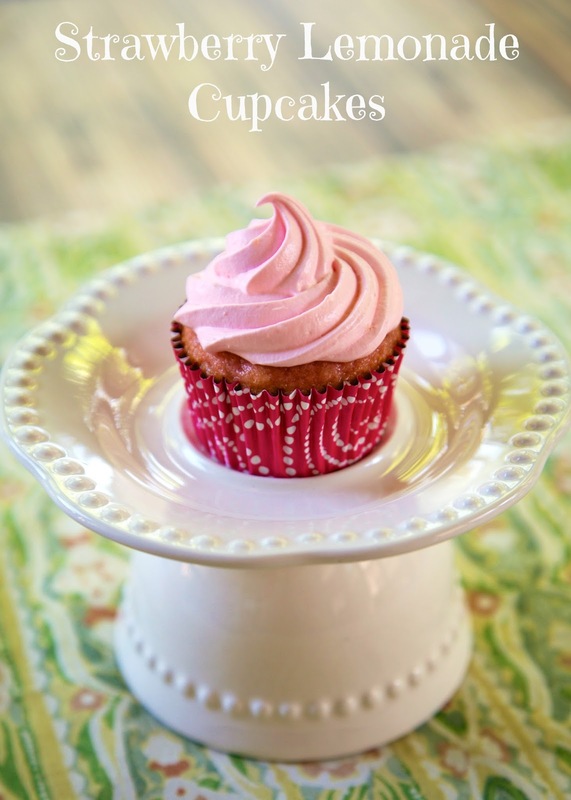 The best part about the recipe is that the frosting has only two ingredients and it tastes great! These cupcakes start with a box of white cake mix and uses strawberry daiquiri mix and lemon juice in place of the water. It gives the cupcakes a great flavor! Don't worry, there is no alcohol in the daiquiri mix. The kiddos can eat them too! Preheat oven to 350 degrees. Place cupcake liners in muffin pan. Set aside. With a handheld mixer, mix together cake mix, daiquiri mix, lemon juice, oil and eggs. Beat on low for 30 seconds. Increase speed to medium high and mix for 2 minutes. Scoop batter into muffin pans. Bake for 18-20 minutes. Cool completely. 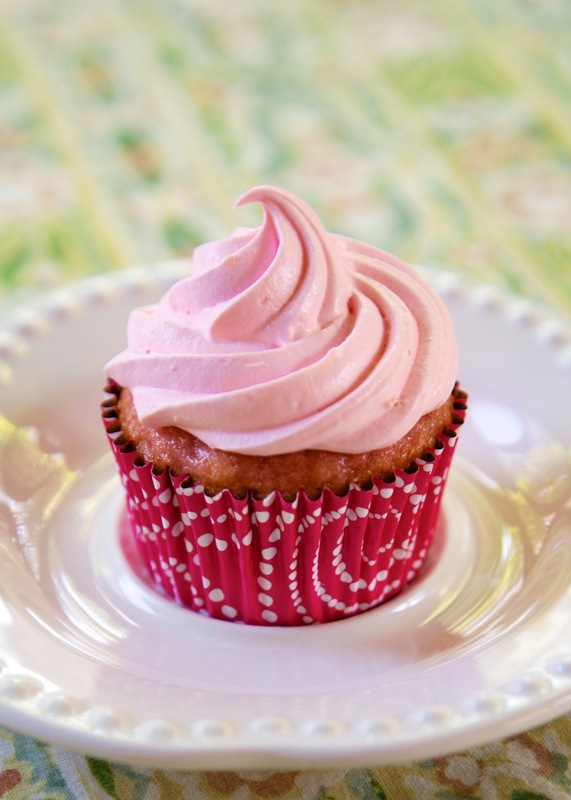 For the frosting, carefully combine cool whip, strawberry frosting and lemon zest. Frost cooled cupcakes with frosting. They look Delicious as always & I agree that Strawberry Lemonade Screams Summer! LOVE your frosting tip! I am going to try this. It looks delicious. I love lemonade in the summertime! That pick is so perfect! Love these! Is the daiquiri mix the concentrated frozen kind? I is in a plastic bottle. I found it near the wine section with the Bloody Mary Mix.